Sister-Friends! Every Woman Needs a Few! By now, everyone knows I’m a Traveling Chef, who spends months at a time on the road with various clients. When I go to work, I’m all in and dedicated to helping my clients accomplish their goals, which usually consists of losing weight or gaining muscle mass. Due to my hectic schedule, I rarely spend quality time with my sister-friends, so this blog post, is dedicated to my village of phenomenal women, who have given me exceptional advice, mothered my son in my absence, and been supporting my business since day one! I cherish the memories created and look forward to sharing my journey with these women for life. I met the ladies in the first image in Atlanta, GA. Our kids went to the same elementary school (Stonewall Tell), where each of us was involved in some type of volunteer role. We clicked and over the years, have formed an amazing friendship. We refer to ourselves as HOST, Housewives of Stonewall Tell (I'm the single one). The second image is of Susanna and me. We met through a client a couple of years ago. It's like I've known her my whole life! She and her daughter have welcomed me into their tribe/family in LA. We both love to entertain, cook and eat! The third image is of my oldest friend Tiffany. We met at the age of six at Douglas Elementary school and have been kicking it ever since! Her cooking skills are non-existent, but I love her anyway. The wedding image is of Cheryl and me. We met at St. Ursula Academy. She is the reason I started running track. Her family unofficially adopted me and 30 years later, we still talk multiple times a week. I mention these ladies because each of them plays a vital role in my life. We laugh hysterically and have created countless memories over the years. I don't know where I would be without their love, support, fellowship, and most importantly, friendship. I’m currently in Cincinnati, OH, for work, the place where I was born and raised. I moved away 20 years ago and my, have things changed! I’ve ventured out to old neighborhoods, met up with old friends, and explored areas of the city that I never would have visited as a kid or young adult. I have a different appreciation for the place that raised, educated, and molded my foundation of inclusiveness for all. I'm eager to host a monthly "chat and chew" to catch up with everyone who still lives in the city and prepare them some exceptional meals. Be on the lookout for your invitation... 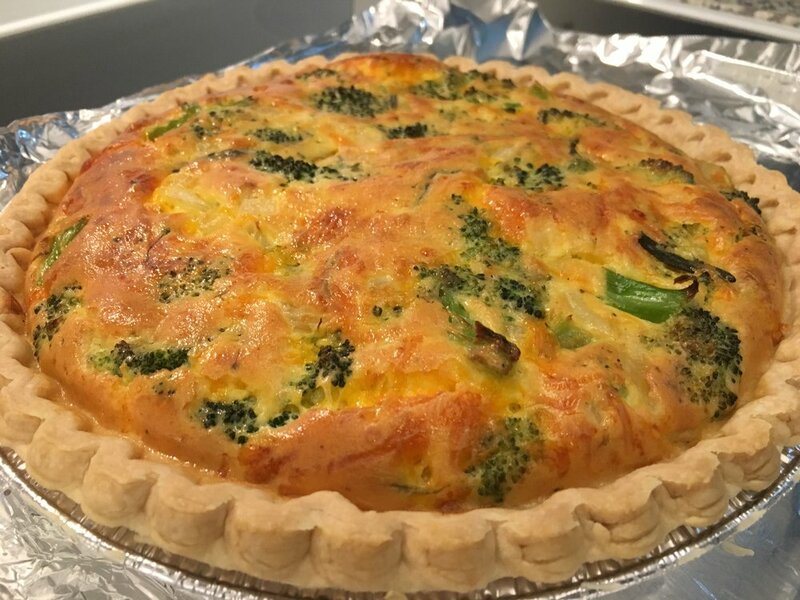 In the meantime, here’s a quick recipe for broccoli cheese quiche. Pre-heat oven to 375 degrees. Once heated, bake pie crust for 5-8 minutes, then remove from oven. Spray a medium skillet with non-stick cooking spray. Add broccoli, seasonings, garlic, onions and water. Sautee on medium heat for 5-7 minutes, covered. Turn heat off and let sit. In medium bowl, mix eggs and heavy whipping cream until blended, then add cheese and blend. 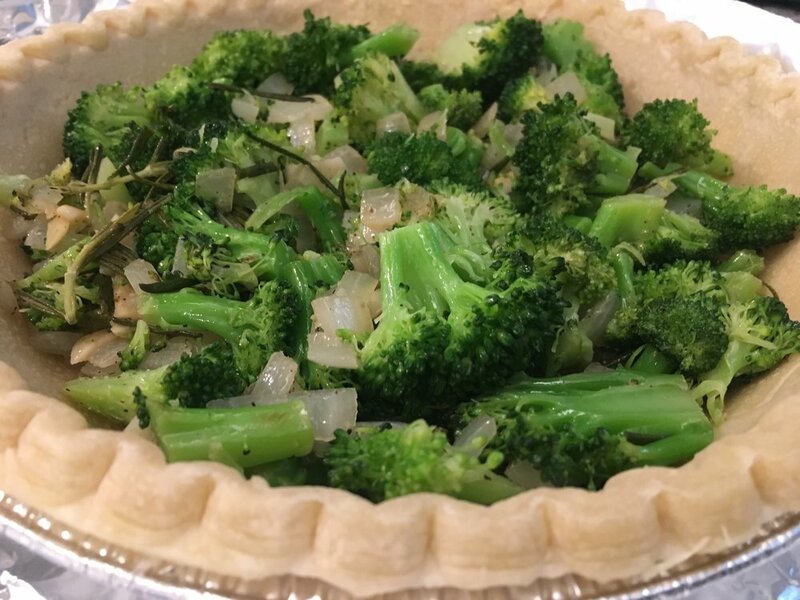 Pour broccoli into pie shell and then pour egg mixture on top. Blend in pie crust. 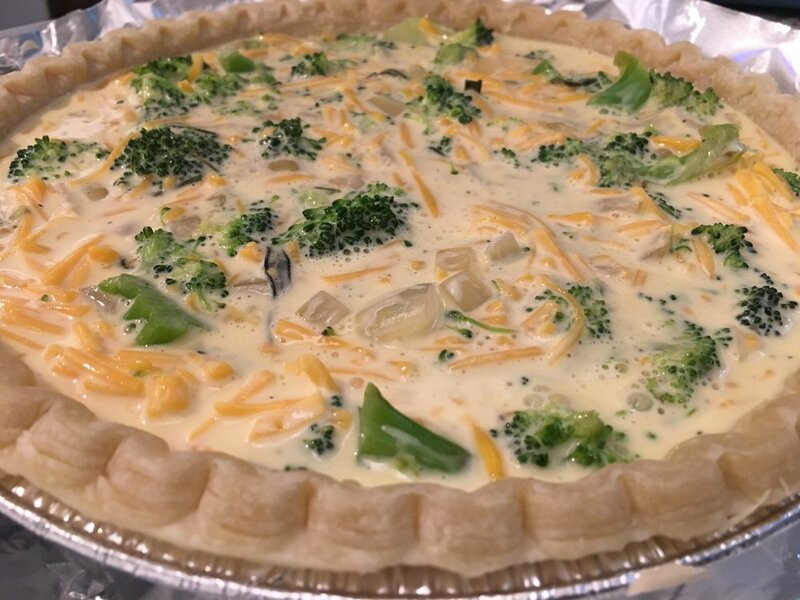 You can also add broccoli to the egg mixture and blend, then pour into pie crust. Bake on 375 for 40-50 minutes. Take out of oven and allow quiche to rest for 10 minutes before you cut.